This Shanghai lawyer blog shares insights on the legal fee matter. At this Shanghai law firm, we regularly update this blog and please come back if you are interested in our legal service or for your information. First and most important, our Law Firm’s fee will be reasonable. Factors we use to determine our fee is the time and labor required, the novelty and difficulty of the questions involved, and the skill requisite to perform the legal services properly. Also, we consider the likelihood of precluding other employment to our Law Firm, the fee customarily charged in our community for similar legal services, the amount involved and the results obtained, the time limitations imposed by the client or by the circumstances, the nature and length of the professional relationship with the client, and our level of professional experience in the performance of these services. Our Shanghai law firm charges a flat fee for most of the cases handled by the law firm, as other Chinese law firms are doing. Whether your case is a divorce or other family law related mater, contract drafting, criminal matter, or the incorporation of a business, you’ll know where you stand with our firm since the charge for your case is a flat fee! Some cases are handled on a flat fee basis, where the client pays a set rate for an agreed-upon number of hours of attorney/staff time. Criminal cases are the most common cases where clients request a flat fee quote. For specifics, you will need to consult with an attorney. Unlike many law firms that charge by the hour for each and every telephone call and other tasks performed on a case, our Shanghai lawyers charge a flat fee thereby enabling you to avoid the stressful “nickel and dime” feeling that you’d experience if you were charged by the hour for each task performed on your case. This client friendly approach to your legal fees is designed to help you budget for your case and reduce the stress connected with your matter. Our Shanghai lawyer is virtually certain that you’ll find a flat fee for your case to be extremely helpful and a benefit to you that many law firms do not provide. Most of our fee arrangements are based on a client friendly flat fee, as described above. Therefore an hourly fee is rarely charged to a client. For certain unique cases, we calculate our fee by multiplying our US$150.00 hourly charge by the number of Attorney hours devoted to your case and our US$100.00 hourly charge by the number of Legal Assistant and/or Administrative hours devoted to your case. Attorneys and Legal Assistants bill in fifteen (15) minute increments. On occasion, we may increase our hourly charge thereby affecting your obligation to us. This increase typically occurs at the beginning of the calendar year and it will be reflected on your invoice for professional services rendered. Most of our fee arrangements are based on a client friendly flat fee, as described above. Therefore, an advance payment retainer is rarely charged to a client. For certain unique cases, we charge an Advance Payment Retainer Fee at the time we accept your case. The Advance Payment Retainer is an advance fee payment for some or all of the legal services to be rendered in our representation of you. The Advance Payment Retainer is a “prepayment” applied against our Attorneys’ US$150.00 hourly charge and our Legal Assistants’ US$100.00 hourly charge. The law firm spends down the Advance Payment Retainer as professional services are rendered. Attorneys and Legal Assistants bill in fifteen (15) minute increments. You will be required to replenish the Advance Payment Retainer when your Advance Payment Retainer has been depleted to a credit balance of $600.00 or less. Contingent fees are when attorney fees are not paid unless your case meets the desired results–either settlement or trial victory. The fees are contingent on the outcome of your case. 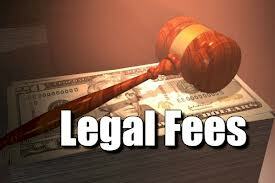 These fees are most common in personal injury cases. Contingent fees put the client and attorney into a business-like relationship. The attorney wants you to recover as much as you can, because you are the client and we try our best to make you whole again. Also the more you recover, the more the attorney fees the firm makes. Our Contingency fee is a type combination of flat fee and contingent fee. For certain Professional procedures, such as Personal Injury cases or debt collecting cases, our fee is a flat percentage of the amount of money collected for you. In other words, we are not paid until you collect. Our office may charge costs in anticipation of securing copies of your medical records, filing costs and related litigation expenses such as deposition costs, etc. Please note that we may charge fees based on a combination of two or several of above methods. Now matter what it is, we will discuss with you and make both of us happy. Consult our English speaking Shanghai lawyers for free preliminary consultation. Shanghai intellectual property lawyer reminds you that the law discussed above may change over time and may not apply to current situation when you read this blog.